Volcanic Ash Advisory Center Darwin (VAAC) issued the following report: CVGHM REPORT ERUPTION TO FL100 AT 30/0042Z. Bogoslof (United States, Aleutian Islands): Another relatively large ash-producing explosive eruption occurred this morning (23:45 Dec 29 AKST local time / 08:45 Dec 30 UTC) from the volcano. 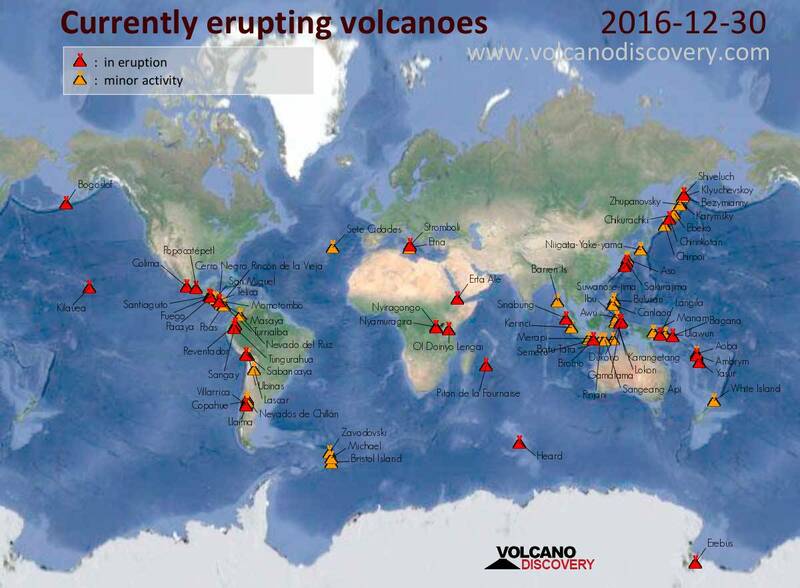 The eruption was inferred from seismic data on nearby islands and seen in recent satellite images. The resulting ash plume was estimated to reach around 20,000 ft (6 km) altitude and drifting NE. The Aviation Color Code was raised to RED.